I was asked to make an illustration for "DuJour Homes & Estates" magazine. Client wanted to show a luxury interior, abstract city view with a presence of water and to put everything in a bit extreme graphic angle. That's how it looks and how it was done. A rough sketch and some progress shots. 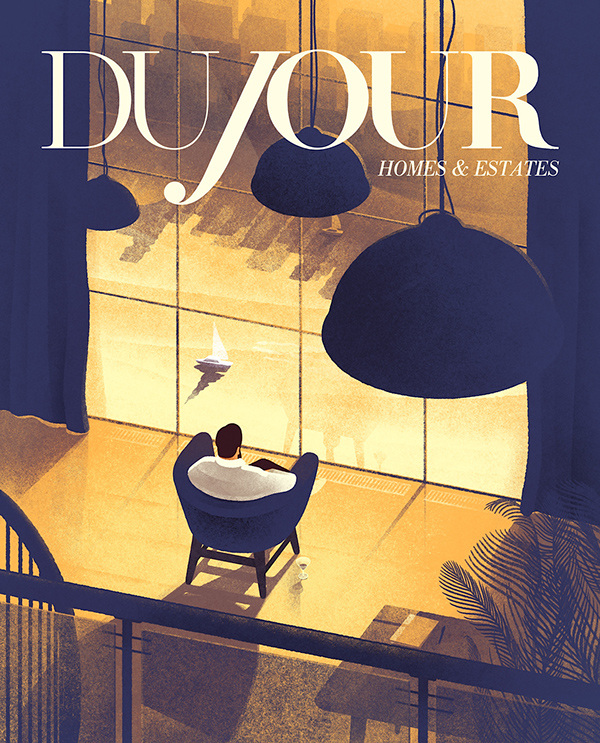 I was asked to make an illustration for "DuJour Homes & Estates" magazine. Client wanted to show a luxury interior, abstract city view with a presence of water and to put everything in a bit extreme graphic angle.